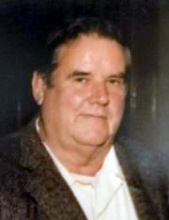 John O'Kane, age 85, passed away February 3, 2019. He was born March 20, 1933 in Detroit, son of the late Egbert and Helen O'Kane. John is survived by his step-daughter, Peggy Willemstein, his step-son, Jeffrey Willemstein; and his brothers: Chuck O'Kane and Jim O'Kane. He is also survived by his nieces and nephews and his extended family. He was preceded in death by his wife, M. Joyce in 2017. John will be laid to rest beside his wife on Tuesday, February 12 at 11:00AM at Cadillac Memorial Gardens West, 34224 Ford Rd., Westland, Michigan. To send flowers or a remembrance gift to the family of John O'Kane, please visit our Tribute Store. "Email Address" would like to share the life celebration of John O'Kane. Click on the "link" to go to share a favorite memory or leave a condolence message for the family.